Bags specifically designed for use in retail environments. You know what they say—paper or plastic? What’s one of the reasons we tend to shop so much? Besides the sheer joy of spending money, anyway? The convenience of it all. The ability to walk in, find what we want, and get going. You can encourage your customers to stick around, and drop more dough on all that convenience, by making sure your product packaging and their after-purchase packaging is easy to handle. 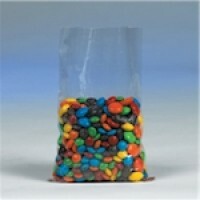 That means plastic bags of the poly variety for holding candy, nuts and bolts, small supplies and lots more. And shopping bags with carrying handles for carting around all those incredible deals. Retails bags are what you’ll need to group your products together, keep your customers happy and make your brand look really good. So what kind of products are you offering your customers? Plastic bags, especially when they’re reclosable, will keep delicious goodies from going stale, helpful tools from rusting out, and other supplies from spreading all over the place. Paper bags are great for those bins in grocery stores where you choose how much you want to load up on nuts, candy or spices. And they’re also just as great for when you’re in a hardware store and want to load up on screws, nuts and bolts, and other components. Once your customers have had their fill and are ready to go (we hear there’s a bunch of great restaurants nearby), shopping bags will house their purchases in convenient and attractive packaging. Strength and convenience are certainly hallmarks of good bags. 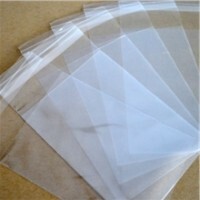 Whether they’re clear or colorful plastic, white or kraft paper bags, open-ended or reclosable, they’re what your products need and what your customers deserve. They’re a strong addition to a smart packaging strategy, and a packaging supply you won’t regret using. 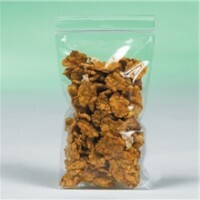 When you’re ready to start bagging things up, you’ll find the retail bags you need right here at The Packaging Company.